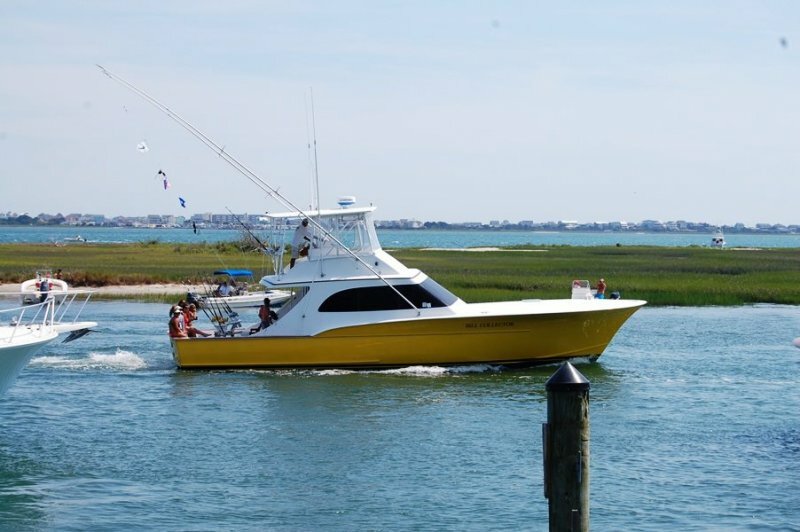 With challenging wind & sea conditions for much of the 2012 Big Rock tournament, several Jarrett Bay-built boats scratched and clawed their way to the forefront. The Flybuoy’s winning 499 lb. fish was caught on the first day of the tournament, and with building seas throughout the rest of the week, the 120 boat fleet largely struggled to outdo them. On Day 2 however, Jarrett Bay hull 22, Inspiration, captained and owned by Big Rock director Casey Wagner, boated a 437 lb blue which turned out good for 2nd place and more than 212,000 dollars. Fans pulling for the Inspiration fishing team had their prayers answered as big blue marlins continued to be elusive on the final day. 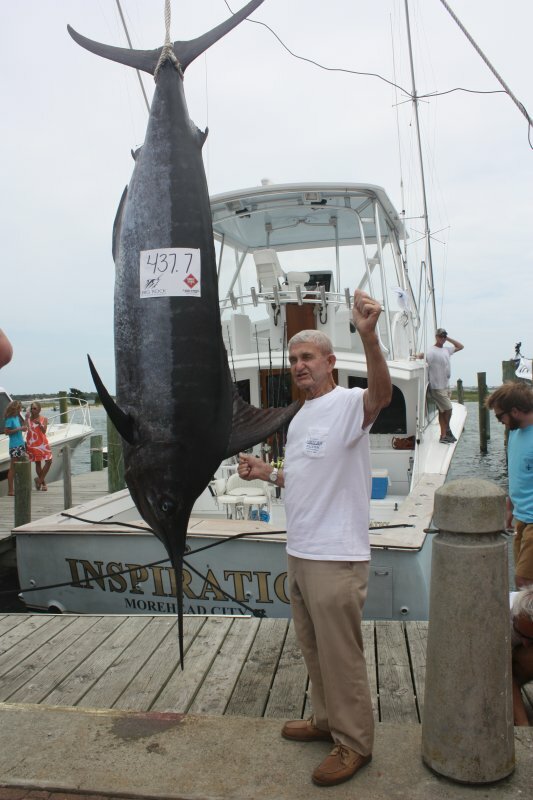 Inspiration captain Casey Wagner, Morehead City, and angler Terry Clark, Beaufort, landed a 437.7-pound blue marlin Tuesday that proved big enough to finish in second place. 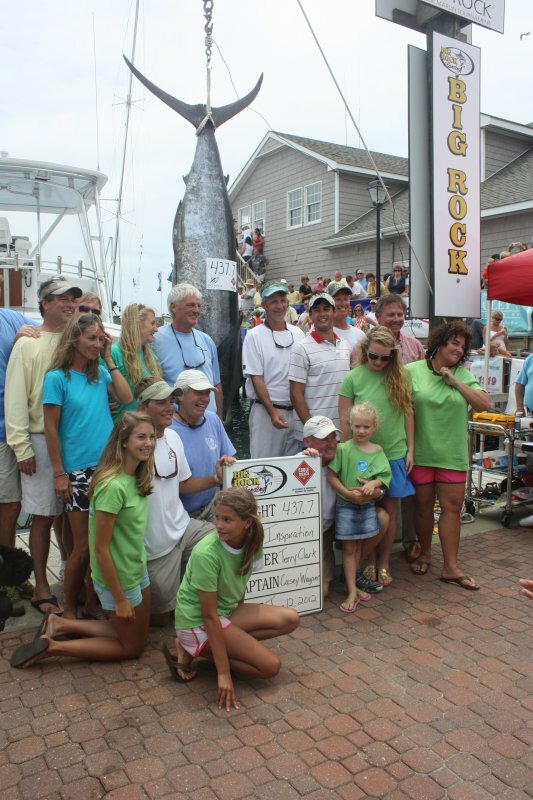 Wagner, the current president of the Big Rock, had been to the weigh station eight previous times with a blue marlin and never before finished in the money. The ninth time proved to be a charm as Wagner received $212,640 for his second-place finish. 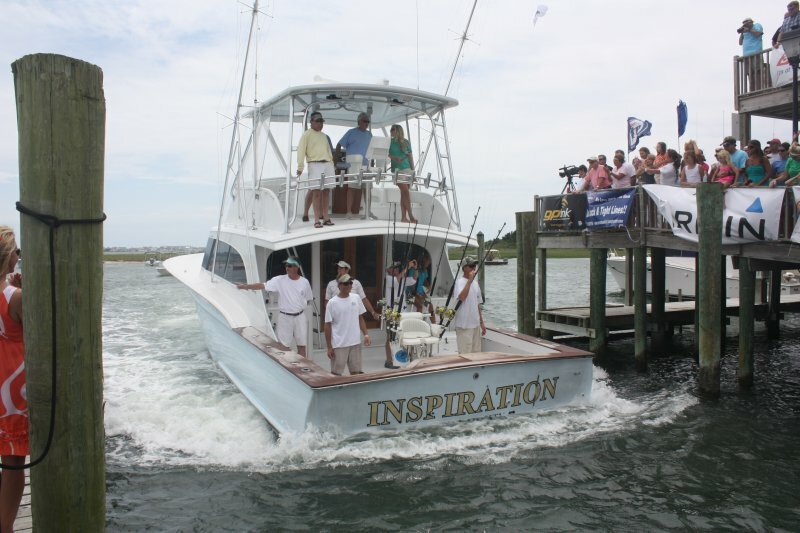 The Inspiration also released an additional blue marlin, 1 sail and 1 white marlin during the first 3 days of fishing. The 64′ Bench Mark, JB hull 55, started the week with an extremely hot hand. 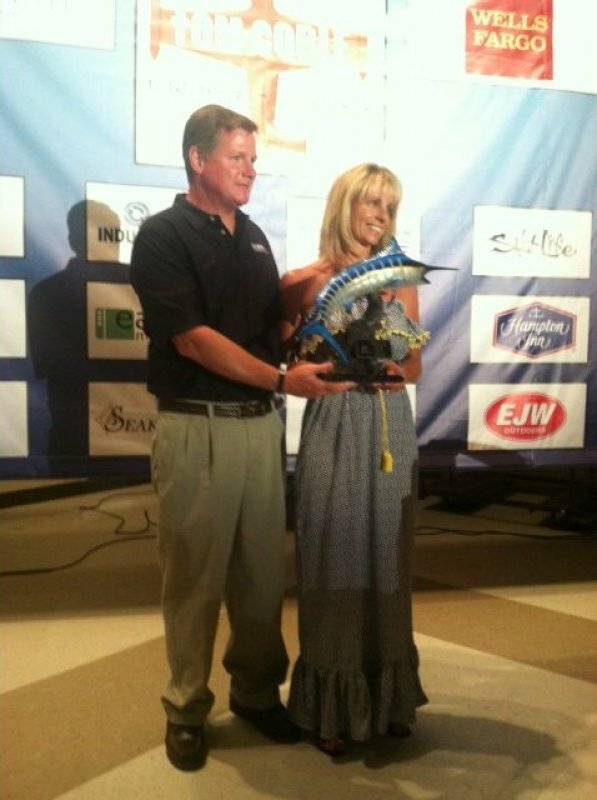 On Saturday’s Keli Wagner Lady Angler’s Tournament, the crew released two blue marlin for third place in this one day event. 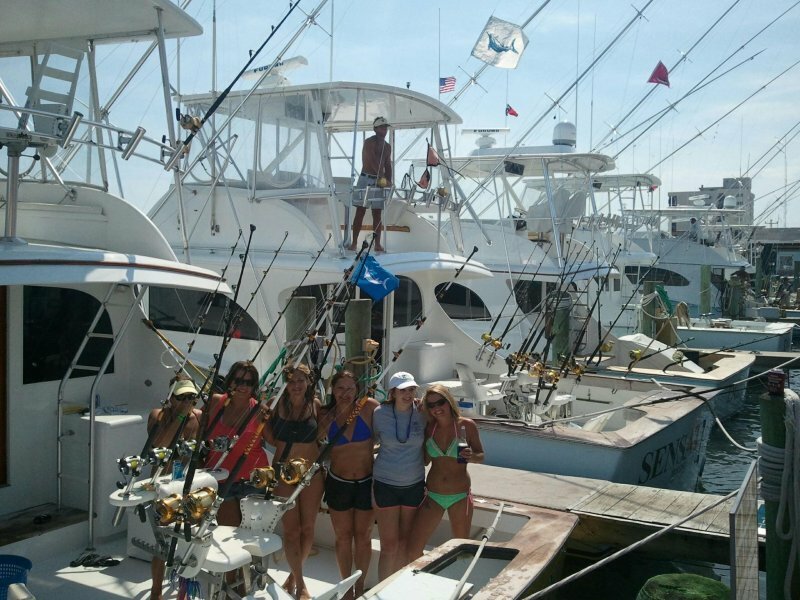 The ladies on hull 21, Chainlink outdid the Bench Mark for second place in the KWLA by releasing two blue marlin and 1 white. Islander took first with four releases. 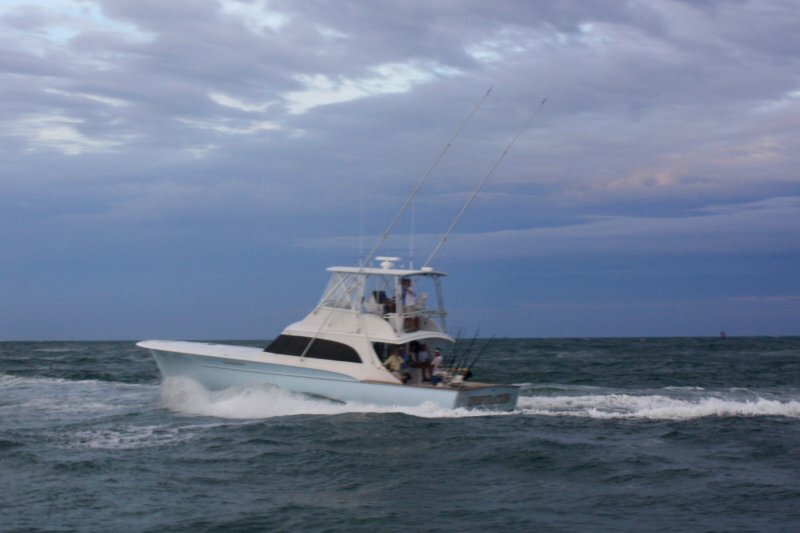 Jarrett Bay hull 11, Bill Collector also released two billfish. 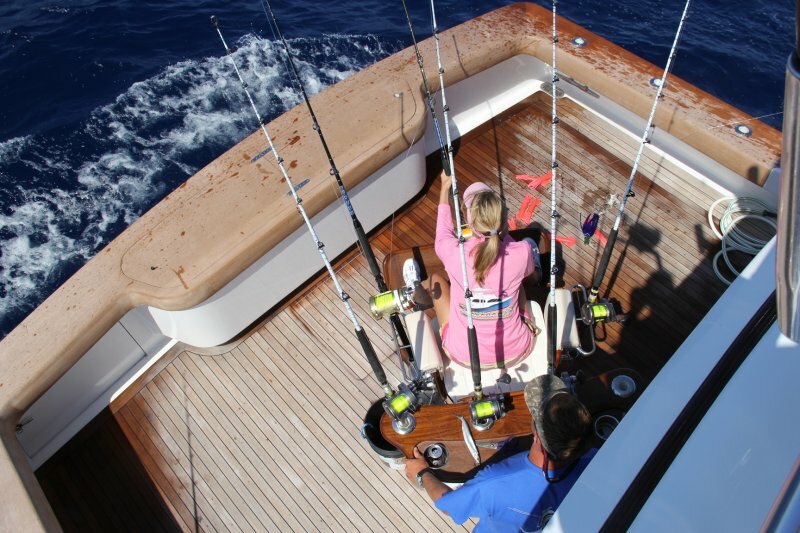 Bench Mark built on their strong showing at the KWLA by scoring a billfish grand slam on Day 1 of the Big Rock – releasing a white marlin, blue marlin and then a sailfish over the course of about 4 hours on Monday. On the final day of Big Rock fishing, hull 8, Fishing Partner was one of two boats to deck a blue marlin early in the morning. Captain Daryl Brower and team continued fishing and released 2 white marlin before heading to the scales. Both blues brought to the scales on Saturday however were under the tournament minimum. Also on the final day of fishing, Jarrett Bay Yacht Sales’ salesman Peter Dubose captained the Accordlingly III to the top of the gamefish “Winner Take All” category, with a 32 lb dolphin which earned them over $77,000! 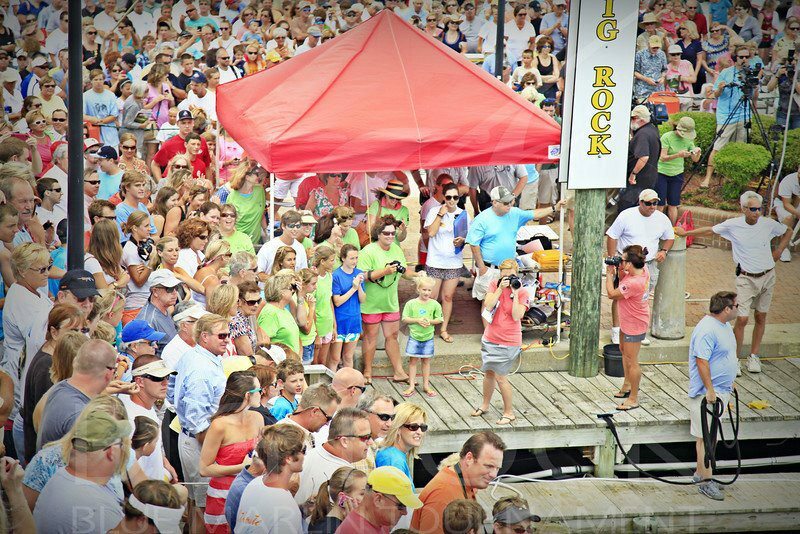 On Tuesday, Jarrett Bay hull 1, Sensation was the first and only boat to bring a tuna to the scales in over 2 years of the Big Rock and walked away with rollover money worth over $34,000 for their efforts. 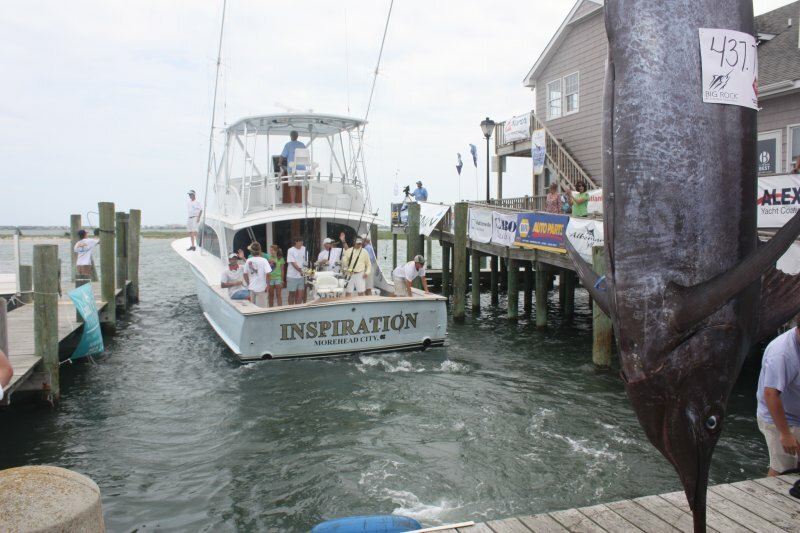 The Sensation also released a white marlin on the last day of fishing. Overall, Jarrett Bay boats did more than their fair share of catching, with the tally (not including the 7+ billfish releases in the ladies tournament) coming to 2 blues, 8 whites and 2 sails released and 2 more blue marlin boated between Bench Mark, Builder’s Choice, Fishing Partner, Inspiration, Jabez & Weldor’s Ark. That’s 6 Jarrett Bays (representing 5% of this year’s fleet) managing over 14% of the total billfish releases and walking away with over $250,000 (~ 25%) of the prize money!